Jimmy Donaldson better known as MrBeast is an American YouTube commentator whose net worth is an estimated $350,000 in 2018. MrBeast who is from Greenville, North Carolina rose to fame after starting the now popular “Worst Intros” series that has recorded over sixty episodes. He also does another series called “Worst YouTube Channels Ever” and frequently uploads game-play videos. Jimmy has been criticized in the recent past for using click baits to obtain more subscribers and make more money. He is also said to have start several fake giveaways at the end of his videos as he tries to mimic other popular YouTube stars, something that has led to many dislikes on his videos. MrBeast YouTube channel has 1,677,245 subscribers as of early late-August 2017. It has accumulated 31,980,300 video views and 273,610 new subscribers in the last month. MrBeast is the 2231st most subscribed channel on YouTube. To date the channel has amassed a total of 199,897,602 video views across its 763 video uploads since launch in February 2012. We estimate income of $400,000 over the next one year from YouTube ads. 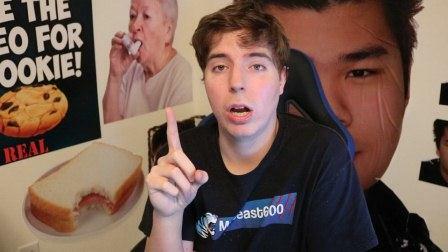 MrBeast net worth is boosted by profits from mechandise sales such as t-shirts.